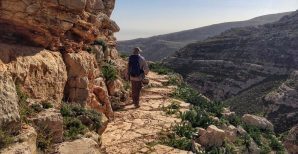 Join Finjan for a unique hiking excursion in the Jordan Valley and visit to a local pepper farm. 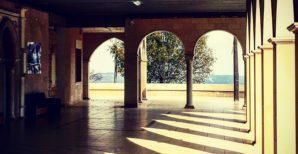 Join Finjan for a unique hiking excursion into the untouched eastern frontier of the Lower Galilee from Menahemiya to the Jordan River. 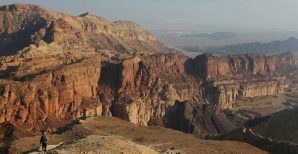 For the 6th time we are going to backpack through Israel's most diverse landscape: the fabulous Eilat Mountains! What does this entail? : A challenging trail where we carry everything we need on our backs. 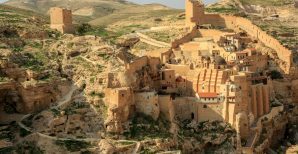 Join Finjan for a wilderness hiking adventure to the magnificent Mar Saba Monastery and Hyrcania Valley - hiking through the breathtaking hills and valleys of Jerusalem's desert and the biblical breeding-ground of spirituality in the Holy Land. 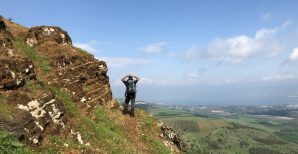 Join Finjan for a day-hike in the Upper Galilee between the Druze villages of Horfeish and Beit Jann - a wonderful opportunity to visit the Druze mountain sanctuaries in the north of Israel. Join Finjan for a day hike full of ladders, boulders and traversing dry waterfalls: A desert playground for challenge-loving hikers!.